Everyone deserves to feel the satisfaction of being part of something as GREAT as electing their countries next commander in Chief. No matter your age/ time availability/ ability/ or financial status. Note the order listed on the link below. Donations are LAST. There’s great reasons for that. I highly recommend you do any or any combined efforts shown at the link below. As generously as possible. With that, we will have the best chance of making sure Trump is defeated. Hillary will hopefully get a much needed Political Honeymoon after November 8th. And will ALL get the BEST America. The General Schedule for it is below. As well as a link for the full 3 day schedule. Mike Adams, Dr. Robert Scott Bell, Dr. Rashid Buttar, Dr. Veronique Desaulniers, Dr. Joe Mercola, DO, Dr. Galina Migalko, MD, Dr. Sunil Pai, MD, Ocean Robbins, Dr. Keith Scott-Mumby, MD, Jeffrey Smith, Mary Tocco, Chris Wark, Dr. Brad Weeks, MD. And I’d seriously appreciate it if you sign up for Free using the above link. Thanks! And Enjoy! Ty is great and is the host and leader of this Symposium. The Alternative medicine route to cancer prevention and cures can be interesting. And some of this content is not shared on most if any other Online conference summits. Some of the regular speaker’s from the other summits I’ve shared will not be speaker’s for this event. So, this won’t be all been repeated content. My next post will share a little detail of the event’s topics and speakers. Now, here’s the scoop on episode 7! Over the course of the last week, we have taken on food sensitivities, the environment, good and bad bacteria, how your gut and brain are related to autoimmune diseases, and so much more! This ties it ALL together. Be sure to budget time to watch and get some of the most important info in the entire series in episode 7, being released tonight! In this episode you will discover how several patients went through traditional diagnoses and medical protocols, and just never got any better. WHY???? While some things ARE out of your immediate control (like the chemicals in your greater environment), many people who suffer with some of the most debilitating autoimmune diseases have been able to turn their lives completely around! What is the secret? What are the protocols? CAN WE CHANGE THE EPIDEMIC OF AUTOIMMUNITY? You’re going to hear an entire episode of inspirational case studies. You’re going to learn how they got better. This will solidify your understanding and help you get into action as you see the incredible transformations of others. Episode 7 went live last night at 6:00 PM PST, 9:00 PM EST, US time! This is an edited E-mail from Tom O’Bryan and the Betrayal team. How does Auto immunity knowledge help those with brain Fog, autism, depression, Bipolar or even skitzophrenia (who don’t always have an Auto -immune connection? Listen to episode 6 here- https://betrayalseries.com/episode-6-n87gw0ws before it’s taken down for good. 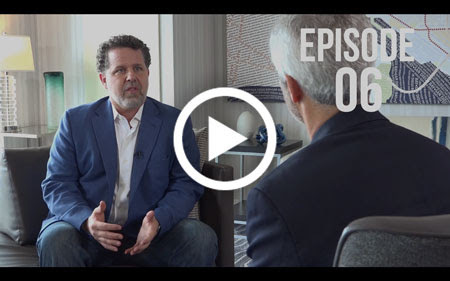 In this action packed episode we are spotlighting why the rates of lupus, Alzheimer’s disease, Parkinson’s disease, MS, autism, and ADD have skyrocketed in the last few decades. What you’re about to discover about the true causes of these tragic diseases will shock you. 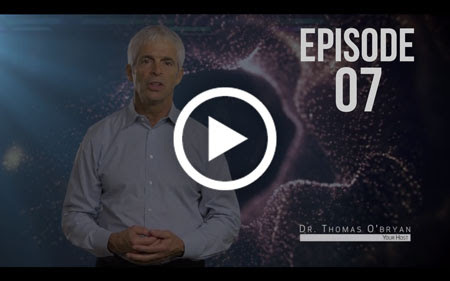 Episode 6 equips you with vital tools for you to protect yourself and your family, from the dreaded diagnosis and suffering of a degenerative brain disease like dementia or Alzheimer’s disease. Watch it right now while you have access. More than one billion pounds (yes, that’s BILLION) of pesticides are used annually in the United States, three-quarters in agriculture. Unfortunately, it’s not just the bugs who are exposed to these chemicals. It’s people that are being affected. It’s you and your loved ones. THIS is the topic of the next video in the Betrayal docuseries – and it is SO vital for you to know this information. This is a huge contributing factor in the dramatic increase in autoimmune diseases. And be sure to grab the opportunity to own the Docuseries – with over 80+ interviews there is SO much more to learn. We are offering the Betrayal gold package at our pre-launch, inner-circle fee of 50% off of the early-bird price. Our win is honestly only about changing lives. PPS: By owning the series, you also help us keep the mission going (and give yourself access to watch the series again and again). You also get the extra interviews covering new insights and specific protocols for various autoimmune diseases. Here’s to you!